Travel with Kevin and Ruth! : Our Namibia top ten! You can't go to Namibia without visiting Etosha National Park. One of the premier wildlife viewing parks in the world. Easily at the top of our list and definitely what we enjoyed the most about our two months in Namibia. But even though Etosha can't be missed, there are other fantastic things to see as well. There are more people killed by hippos than there are people killed by lions. I think that was one of the things that made our excursion on the Kwando River so exciting. These gentle looking animals are fascinating to watch, but you can't be lulled into a false sense of security. They can sneak up under your boat and tip you over...and, they have no fear of humans! Namibia isn't all about the animals though. There is some spectacular scenery, and we would have liked more time to explore our next area. The huge sand dunes of the Sossusvlei area are simply fascinating. There's a lot to see in the whole area, including the Sesriem Canyon, and the billion year old petrified sand dunes!. We were originally unsure that we should visit this nomadic tribe. But we came away from the experience feeling culturally enriched. And it was definitely in the top half of our top ten! Another area we were left wanting to see more of. Besides the dramatic landscape there's one of the oldest collection of rock engravings in the world at the Unesco Heritage site of Twyfelfontein. The "Grand Canyon" of Namibia is well worth the trip to the southern part of the country. It was too hot while we were there to do any hiking, but the 4x4 driving trail leads you to some spectacular vistas. Definitely worth the effort to see this abandoned diamond mining town that has been taken over by the desert sand. Besides the great campsites, there's also hiking and a swimming pool! The seaside resort town of Swakopmund and the more industrial centre of Walvis Bay are worth a tour. We enjoyed watching the flamingos and seals, and especially the Swakopmund Museum. 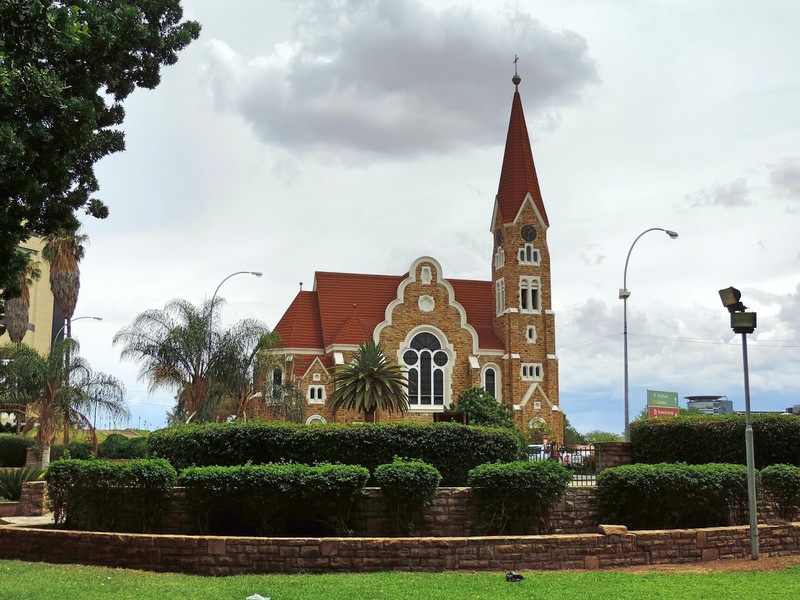 Not normally seen as a tourist town, Windhoek does have a certain charm and we enjoyed exploring the area. You're probably going to fly in to this city, so you may as well plan on a couple of days to see it properly. So glad you posted with great pictures and information! I thought my computer was stuck, on Monday. Enjoy reading your blog every day - thanks! I'd agree with your top 10, well thought out. Thank you Steve and Glen. Greta post, shared on facebook. One of my favourite parts of Africa. Thanks for bringing back many great memories! So glad that you enjoyed the pictures and our top 10 choices. Hopefully one day you can make it back there again. Thanks again for sharing your trip to Africa - we never get tired of enjoying your photos! Thank you Connie and Barry, we don't get tired of showing them either! I didn't realize Namibia had so much to offer. The photos are great. Thank you Donna! There is still more to offer but we either didn't have the time to see it or it just didn't make it into our top 10. We loved our time in Namibia. Your photos make me dream of Africa! Beautiful! Adding more places to the bucket list...! I think this one should be near the top of your bucket list, you won't regret the visit! And now I just want to visit Namibia even more. It is totally different than South Africa but I am sure that you would love it there Gaelyn. Great post and photos, thank you! You're welcome and thank you for taking the time to comment.